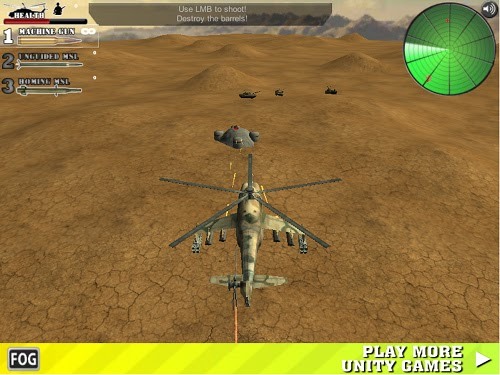 Description Cobra Striker is an action packed 3D helicopter shooter game. Take on a variety of missions from hostage rescue to destroying the enemy base. Use a variety of weapons from a mounted machine gun to rockets, against a vast range of enemy units. Blow up tanks, soldiers and even some bunker type structures. Make sure you are avoiding enemy attacks as they do shoot back, strafe left and right to avoid enemy fire of just do what the helicopter does best and blow them up before they get a chance to do any real damage.